Initially formed in Chelmsford, Essex by school friends Douglas McCarthy [lead vocals, guitar], Vaughn ‘Bon’ Harris [vocals, percussion, guitar] and David Gooday [percussion] in the mid 1980’s, Nitzer Ebb were influenced by the harder sounds of the early electro pop scene, but also distilled elements from several other genres until they had created their own identifiable sound characterised by powerful rhythms, minimal sequencer bass and hooklines and fierce, chanted vocals. The trio caught the attention of PWL producer Phil Harding, who not only produced their 1985 debut single Isn’t It Funny How Your Body Works?, but also helped them set up their own label, Power Of Voice Communications, on which to release it. Their impassioned techno rage was captured perfectly on three further singles: Warsaw Ghetto (1985), Warsaw Ghetto Remixes (1986) and Let Your Body Learn (1986), which raised their profile to the extent that in mainland Europe they were soon regarded as leading exponents of the new Hard Beat or Electronic Body Music (EBM) scene. Signing to Mute Records (the UK’s biggest electronic record label) in late 1986, they released the brutal beats of Murderous (1986) and international funk aggression of Let Your Body Learn (1987) as the opening salvoes in what would prove to be a long-term relationship with the company. The latter single was a smash hit in the clubs of New York, while their next release Join In The Chant (1987) was an early hit on the nascent UK acid house scene. Their subsequent debut album That Total Age (1987) neatly encapsulated the essence of the band, combining irresistible rhythms with controlled anger and energy to create a classic slice of hard-edged proto-Balearic techno. It became for many fans the definitive example of the Nitzer Ebb sound. This infectious mix attracted the attention of fellow Essex lads and label mates Depeche Mode, who invited the group to accompany them on the European leg of a highly successful world tour, exposing them to large – and appreciative – live audiences. Returning to the studio after the tour, they completed their next album Belief (1989) as a duo following the departure of David Gooday, while Mark ‘Flood’ Ellis became their new producer and steered McCarthy and Harris towards a more refined sound. With their own world tour now in the pipeline, they recruited Julian Beeston to assist them and he soon became a regular contributor both on and off stage. The third Nitzer Ebb album Showtime (1990) revealed a less confrontational sound and an accessibility that appealed particularly to audiences in the US. The single Fun To Be Had (1990) even received a groovy remix by the grandfather of funk George Clinton and reached no. 2 on the US dance chart. For their fourth album, Ebbhead (1991), they showcased a more considered, orchestrated songwriting style that still threw in plenty of hard industrial beats and raw guitar samples. Promoting the album with a global tour that took them from the southern US to northern Siberia, they were beginning to enjoy the fruits of their truly international appeal. However, by the time of their fifth album Big Hit (1995), Nitzer Ebb had been through a major metamorphosis. Gone was the techno rage of yore, and in its place was a greater use of ‘real’ instruments, especially guitars and drums. The new songs were also more complex, dividing their fan base into those who simply wanted them to go on making Electronic Body Music and those who supported their desire to develop. McCarthy and Harris recruited a new third member, Jason Payne [percussion], to their main line-up, and also brought in John Napier [guitar, percussion] to assist with live performances. Big Hit seemed to be the final release by the band, with all concerned beginning to concentrate on various solo and side projects, a practice McCarthy, Harris and Beeston had actually started in 1989 when collaborating with the German group Die Krupps. McCarthy has subsequently been a regular collaborator with both Alan Wilder (formerly of Depeche Mode) on his Recoil project and French electronic producer Terence Fixmer as Fixmer/McCarthy, while Bon Harris relocated to Los Angeles and worked as 13mg and as a member of Maven. However, the turn of the millennium saw the likes of respected DJ/musicians such as Richie Hawtin, Derrick May and LFO’s Mark Bell pay tribute to Nitzer Ebb by remixing some of their classic tracks for a series of 12” releases on NovaMute, while 2006 saw Mute honour their enduring influence with a CD/DVD retrospective entitled Body of Work. This coincided with the group starting to play live again, since when they have graced many festival stages, toured in their own right and recorded new songs. Finally, almost 15 years after the release of their last studio album, Nitzer Ebb are releasing the fruits of these recent recording sessions as their brand new album, Industrial Complex, on the German label Major Records. A comeback after such a long hiatus is difficult for any act, with the inherent danger of sounding either dated if it veers too close to past glories, or irrelevant if new recordings are too different to previous releases, no matter how good the material may be. However, with Industrial Complex Nitzer Ebb have expertly mastered the challenge and delivered a piece of work that sounds fresh and modern but without denying their past. Musically and vocally diverse but without being uneven, they focus on the essence of each track (something they’ve always been particularly good at) and thus Industrial Complex works perfectly on the dance floor and at home on headphones. The album features several songs that have become staples of the band’s live set since its reformation, including the irresistibly energetic Once You Say (which features Depeche Mode songwriter Martin Gore on backing vocals) and marching rhythms of Payroll, while the dark, brooding Never Known has featured in the soundtrack to Saw IV. Tracks 16-25 are MP3 bonus tracks! 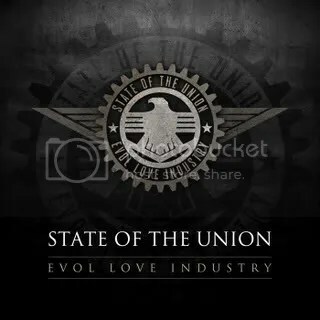 With the release of their last album “Evol Love Industry” State Of The Union managed to get a real breakthrough in the european electronic scene. Besides bands like VNV NATION or ASSEMBLAGE 23, State Of The Union became a driving force in the “past futurepop” movement. Songs like “Timerunner”, “Fall from Grace” or “Radioman” became real clubhits in the scene. With “Dancing in the Dark” the band delivers another floorsmash for their fans and the clubs around the globe! The new MCD delivers a never before tried out new release concept. Leaving out the original track (to be exclusively found on the next State Of The Union studio album) the MCD comes with 25 (!) versions of “Dancing in the Dark” (15 in audio + 10 in mp3 format). A must for all clubmaniacs, DJs and dark dancers! The Berlin-based trio Solitary Experiments has long since understood the fact that good electronic music will require more than bringing together some synthesizer presets with some cuddly beats. Thus, on the new album „In The Eye Of The Beholder“, the band lays just as much emphasis on good song writing, catchy melodies and multi-faceted arrangements as on club-compatible beats and solid bass. The anthemic Electro-tracks keep the delicate balance between catchiness and a thorough dose of power that keeps them from ever drifting into Pop-muzak realms. Effectively carried by Dennis Schober’s warm voice and spiced up with a lot of emotional depth, “In The Eye Of The Beholder” becomes a picture perfect example of how intelligent electronic music in a field of tension between melody and club-appeal should sound. The album will be released as a double CD including a bonus disc with remixes, rarities and unreleased tracks. Club sounds with a lot of soul! Nach dem durchschlagenden Erfolg der deutschsprachigen, limitierten FROZEN PLASMA Single “TANZ DIE REVOLUTION” und der Nachfolgesingle EARTHLING sowie dem zweiten Studioalbum “MONUMENTUM” legen FROZEN PLASMA direkt nach. Label und Band erhielten unzählige Anfragen aus dem Südamerikanischen Raum nach einer spanischen Version von TdR. Ursprünglich nur für PROMO-Zwecke angefertigt geriet der Song über einige DJs zurück nach Deutschland/Europa und sofort war die Nachfrage gross. So haben wir beschlossen eine zweite, ebenfalls auf 1000 Stck. limitierte Single nachzulegen. Die Single enthält neben der spanischen Version (mit STATE OF THE UNION) auch eine italienische Version (mit SYRIAN) sowie eine englische, sozusagen internationale Version. Dazu noch vier klasse Bonustracks und somit 7 Songs bei 35.00 Min. Spielzeit! Und wie immer limitiert auf 1000 Exemplare, wenn weg, dann weg! After the tremendous success of their latest releases TANZ DIE REVOLUTION, EARTHLING and the second studio album MONUMENTUM, FROZEN PLASMA return with another club attack. Initially made for promo use in south america a spanish version of TdR was recorded. Due to some DJs the version got back to germany and europe and created a hughe demand. Band and label decided to release this great version feat. the vocal talent of Johann Sebastian of STATE OF THE UNION on a limited MCD. Furthermore an italian version introducing Andylab of SYRIAN was created and an english version with Felix Marc himself on vocals. This international version is completed by 4 massive bonustracks including two winners of our EARTHLING contest! Be fast, the single is again limited to 1000 copies worldwide!